The TBS specialist in consultation with the clinical supervisor and care giver develops and implements behavioral intervention plans to help a child/youth live effectively in his or her home setting. Services are delivered in the home, school or community as TBS specialists spend most of their time implementing behavioral interventions with the child/youth and working with parents and caregivers to effectively use behavioral plans (e.g. identifying coping skills, creating safety plans, behavioral tracking, positive reinforcement, parent coaching, etc.) TBS has an excellent track record helping children stay in or transition to homes in the community and in keeping youth from hospitalizations. A time limited (five months on average) behavioral intervention, TBS works alongside the youth’s counseling/clinical treatment team. Intensive Home Based Services (IHBS) is very similar to TBS. 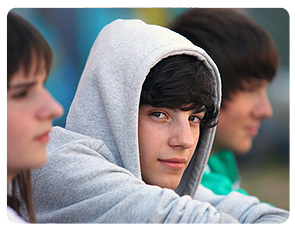 The only difference is that IHBS is designed for foster youth living in Ventura County. IHBS is a personally tailored, behavioral intervention that serves foster youth in their foster homes within the confines of the family’s schedule. It’s a voluntary service that is fun and strives to create more smiling, laughing and praising in the home. IHBS Specialists utilize the power of a relationship to create success. IHBS Specialists communicate through the language of a child, which include: active play or games (Card games, Board Games, Arts and Crafts, Baking, Sports, Journaling and Scrapbooking, anything the youth is interested in, etc.). Our success is tied to ongoing feedback between the entire treatment team by meeting at least monthly to review progress. “Progress Not Perfection” is the IHBS motto for a good reason and IHBS will not expect perfect performance but will build momentum in a positive direction. IHBS accepts referrals from Ventura County Behavioral Health and must (a) have full-scope Medi-Cal, (b) meet “medical necessity” criteria or have a qualifying mental health diagnosis, (c) have an open CFS case (d) and be living in a foster home.